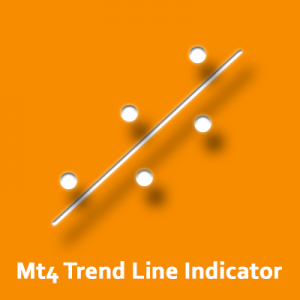 A Metatrader indicator to help you set up a hedging strategy or to better diversify your trades. The indicator will find relationships between any instruments. 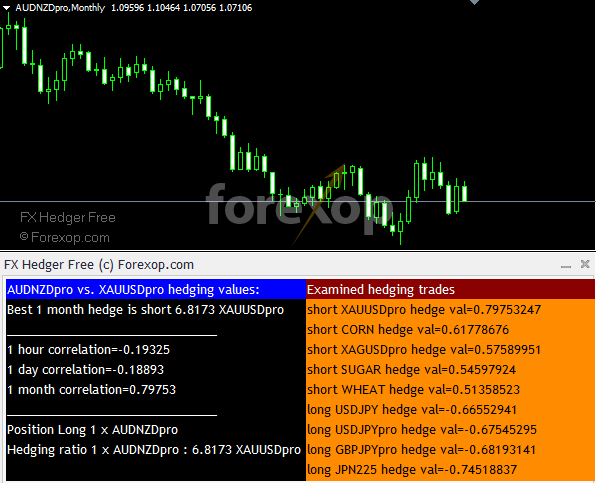 This information can be used to setup hedge trades. It can also be used to diversify your portfolio to avoid trading linked pairs in the same direction. As part of a hedging strategy you may need to find hedge pairs: that is instruments that move together under a certain relationship. For example the relationship between CADJPY and Crude Oil is well known. Higher oil prices tend to result in CADJPY moving higher while lower oil prices tend to result in CADJPY moving lower. This is an example of positive correlation. Hedging strategies involve trading related instruments usually in an effort to reduce volatility. The tool shows that the strongest relationship to AUDNZD over the period is Gold (XAUUSD) and it has strength of 0.79. This shows the instruments with the strongest relationships, either positive or negative. The table below shows the relationship over different timeframes (the times can be chosen in the setup). Of course the goal is not always to hedge but to avoid trading in pairs that have strong relationships. That is, to use diversification. Diversifying trades can help reduce overall risk exposure and even out returns. For example, suppose a trader takes a long position in NZDUSD and is now considering trading either AUDJPY or EURJPY based on their chart setups. But loading the indicator for NZDUSD shows that both of these pairs have a very strong short term correlation. So in fact the trader would gain no diversification by adding these to his trading book. And therefore there’d be no advantage to entering the trades. In fact, he’d be nearly tripling the exposure and value at risk by adding them (assuming they’re traded in the same direction). 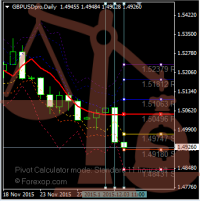 This shows that both EURCAD and EURGBP have low correlation over the period being considered. Therefore from a diversification point of view, these would be better trades. The settings allow you to customize the outputs to your trading requirements, including trade size, trade direction and time frames. 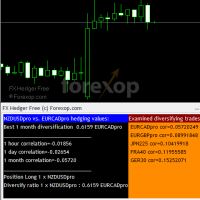 You can also switch between showing hedging trades and showing diversification trades.